Prince Rogers Nelson AKA Prince was an extremely talented actor and musician, loved by people world-wide. We lost him just last week, but we are positive that his legacy will live on. 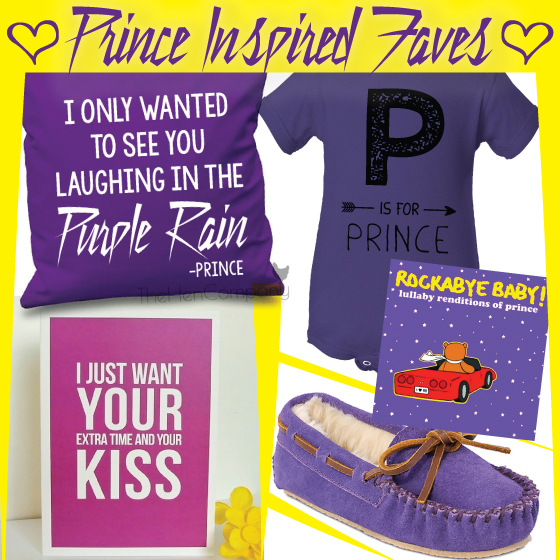 We’ve pulled together some of our favorite Prince-inspired items that will keep the funk in your heart for years to come. Baseball baby names are a fun way to celebrate your love of our national pasttime! 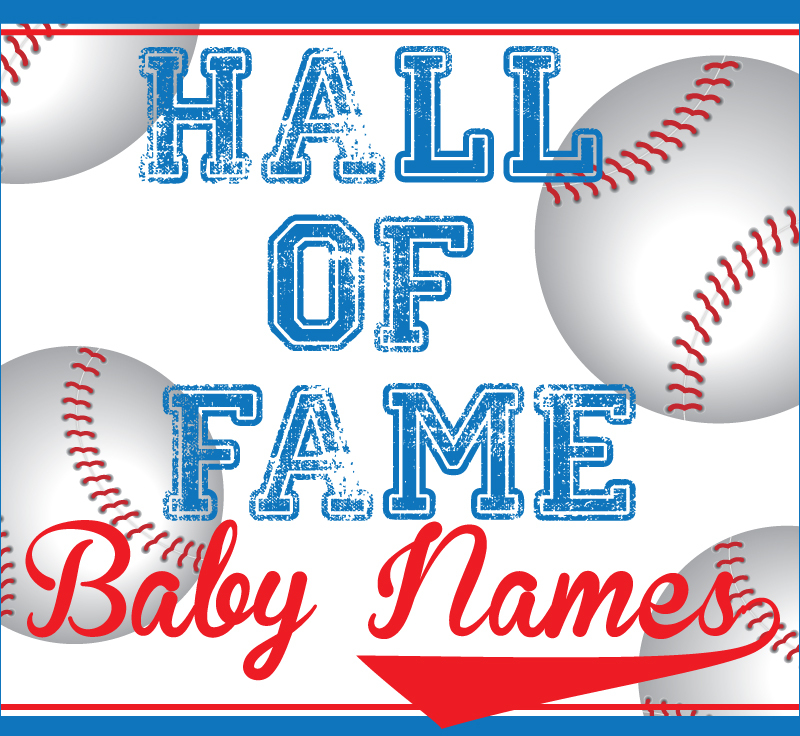 Of course, if you’ve got a brand new P’Baby on the way, your new pasttime is going to be going for a new record of longest time gone without sleep… either way, these 11 cool, sporty baby names are a fun choice for a lil’ left-fielder or future shortstop! Babe (Ruth) – born George Herman Ruth, this name is one of the most historical sporty we can think of! Not only is Babe up there in the most famous baseball players ever list, there’s also Babe Zacharias, one of the greatest female athletes of all time! Mickey (Mantle) – Super cute name for a girl, sometimes spelled Micki or Mikki. For a boy this can be short for Michael, however in Mantle’s case, his name was just plain old Mickey! Hey, Mickey! Jackie (Robinson) – more commonly used as a feminine nickname for Jacqueline, Jackie Robinson was born ‘Jack Roosevelt,’ which is a pretty rad name if you ask us. Lou (Gehrig) – Lou’s name took quite a journey, he was born Heinrich Ludwig Gehrig, which evolved into Henry Louis and finally “Lou!” Also can be a nickname for Louisa, Louise or Lucy. Willie (Mays) – could be a nickname for either a little dude named William or a little lady… Wilhemina! Hank (Aaron) – nickname for Henry… this name means “estate ruler.” Or ruler of the outfield, right?! Ty (Cobb) – in Ty Cobb’s case, Ty is short for Tyrus, which is one of the more unique names we’ve come across! Kind of sounds like Game of Thrones, doesn’t it? Yogi (Berra) – Yogi’s real name is Lawrence Peter Berra – perhaps Larry or Pete would be a more realistic choice for your baby boy. Sandy (Koufax) – another solid choice for either gender, whether you’ve got a Sandra, an Alexander, or a Sanford (Koufax’s given name). Click here to shop our entire collection of awesome baseball baby gifts, baseball t-shirts for kiddos and even some swag for you soccer baseball moms out there!